The annual steeplechase races at Montpelier, once the home of James and Dolley Madison, are the high point in the social calendar of the horse-mad Virginians of cozy Crozet. The race meet offers a cracking good time with old friends and a chance to get even—on the racecourse—with old enemies. Postmistress Mary Minor “Harry” Haristeen will be in the thick of the action on this day of high spirits and fierce competition. But the glorious thoroughbreds and the pinks and greens and purples worn by the riders do not blind Harry to the dangerous undercurrents that start to surface. There’s sure to be some emotional fireworks at Montpelier. Still, no one expects the day to end in tragedy. Found dead in the main barn is one of the day’s riders, a knife plunged through the jockey’s heart. The only clue is a playing card, the Queen of Clubs, impaled over the fatal wound. Within the wealthy, tight-knit world of horse owners, trainers, and jockeys, the victim had both admirers and enemies. 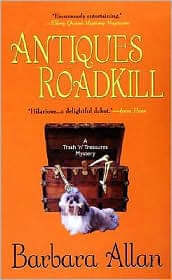 Was the murderer’s motive greed, drugs–a pervasive evil in the race world—or sexual rivalry? Luckily for Crozet’s humans, the tiger cat Mrs. Murphy is right at home in the stable yard…and on the trail of the shocking truth. 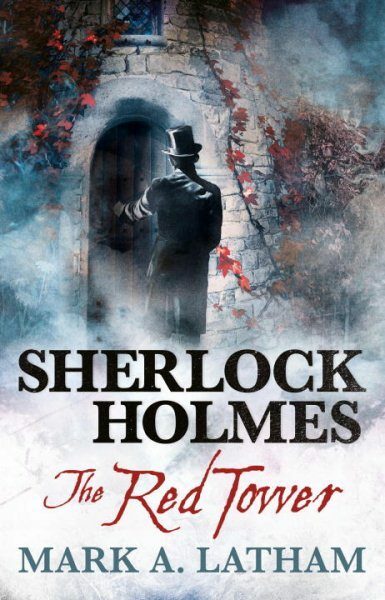 But will Harry catch on in time to stop a killer grown bloodthirsty with success? 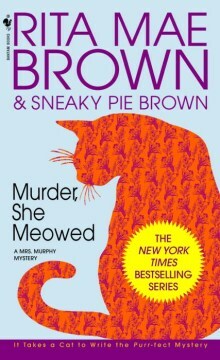 In Murder, She Meowed Sneaky Pie Brown and her co-author, Rita Mae Brown, have penned another clever and sassy mystery that probes the depths of human depravity and the heights of feline genius.